Build production-grade IoT applications in hours, without worrying about managing infrastructure or hiring developers with specialized skills. Reduce the complexity of customizing, deploying, and scaling an IoT solution. Bring your connected solutions to market faster—while you stay focused on your customers. 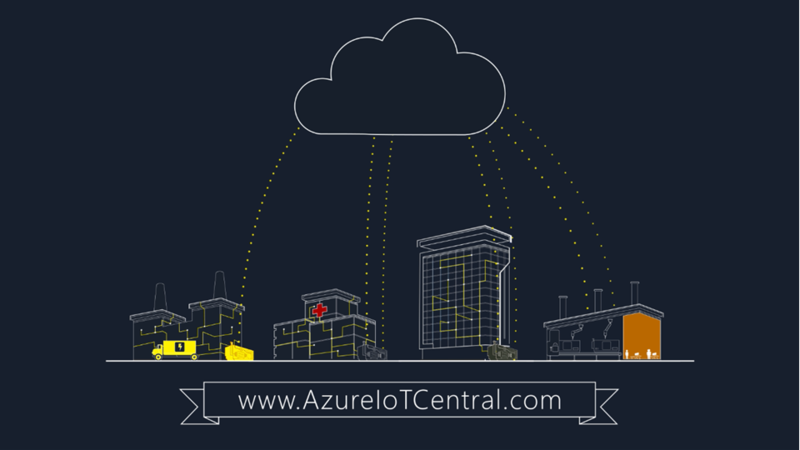 Easily build and configure your IoT solution using Azure IoT Central without cloud development expertise. The easy-to-use interface makes it simple for you to connect, manage, and control access to millions of connected products remotely, throughout their lifecycle. With Azure IoT Central, end-to-end IoT security features are built into the managed cloud solution from the ground up, so you can to help maintain the security of your connected products. Privacy features like role-based access and integration with your Active Directory permissions help keep you in control of your data.